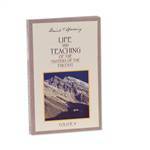 Baird Spalding’s description of Far East travels and encounters with the Masters have played an important role in introducing to the Western world the knowledge that there are many Masters who are assisting and guiding the destinies of mankind. 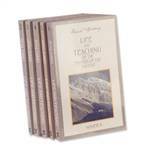 This volume includes an introduction to the Master Emil, the "Temple of Silence", astral projections, the snowmen of the Himalayas, and new light on the Teachings of Jesus. In this volume Jesus discusses the nature of hell and God, the mystery of thought vibrations, and an account of a healing experience. The nature of Cosmic Energy, the creation of planets and worlds, explanation of the mystery of levitation, and One of the Masters speaks of the Christ Consciousness. Transcribed lectures and talks given by Mr. Spaulding. The material in this book was discovered forty years after the other books were published.